If you are looking for assistance with the preparation and filing of personal or business taxes in and around Philippi, WV, contact Carte Hall Certified Public Accountants. Our team provides the meticulous service that you expect when you hire a professional accountant. When time is of the essence, we deliver. You can be confident that your taxes will be handled according to our expertise and skill so that you will have one less thing to worry about. Contact Carte Hall to schedule an appointment to review your taxes today: (304) 637-2369. You look forward to retirement when you will relax and take it easy or have the time to accomplish some of your goals that have been placed on hold. Life and work are hard enough for now. Allow Carte Hall’s retirement planning experts do the work for you. We will meet with you to discuss your personal situation to create a customized retirement plan. When you select Carte Hall, you can rest assured in knowing that your future is in good hands. Do not leave your Barbour County, WV, estate unattended. To do so would add an immense amount of extra stress to your loved ones or business partners, and your final wishes are unlikely to be carried out if they are not formally documented. At Carte Hall, our certified public accountants will help you work through the complicated process of arranging your finances and developing a solid plan to help ensure your family and business matters are taken care of after your passing. Does Your Barbour County, WV Business Require Payroll Services? Accurately managing your business’s payroll can be challenging. At Carte Hall Certified Public Accountants, we can confidently manage your payroll and take the guesswork out of payroll processing and administration. 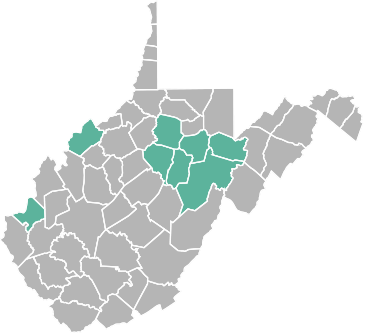 We help businesses with their payroll service needs in Barbour County, WV, and the surrounding areas. Contact Carte Hall Certified Public Accountants to learn more about any of our services or to schedule a consultation: (304) 637-2369.